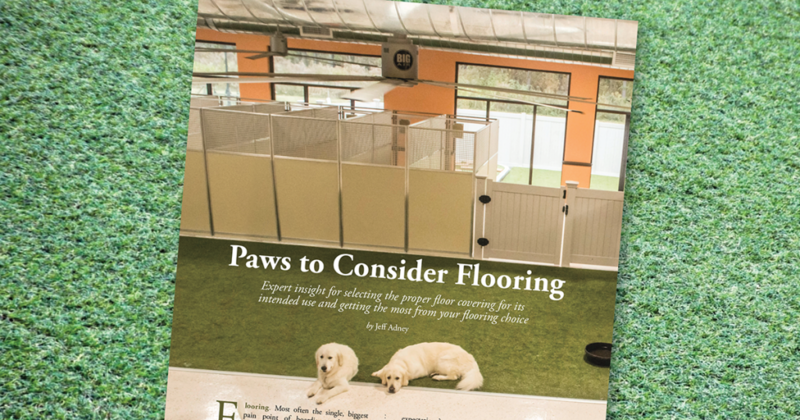 Paws to Consider Flooring is just one of the articles from Pet Care Pro Quarterly, IBPSA’s digital magazine for pet care services professionals. Read the current issue online here. 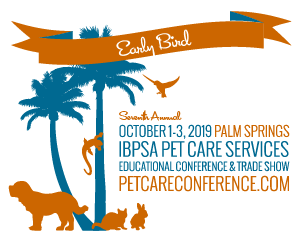 AND smart pet care center build and design will be tackled in sessions at the upcoming IBPSA conference. 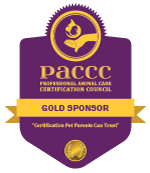 Learn more and register at petcareconference.com. Flooring. Most often the single, biggest pain point of boarding and daycare facilities. With so much time spent finding the right location, acquiring permits, getting through zoning and other pre-construction matters, there is seldom enough quality time spent researching the best flooring solutions. Or you simply run out of sufficient funding to allow for the preferred floor. So why do floors fail, not last or meet your expectations? Improper flooring recommendations or specifications (whether from an architect, general contractor, or personal choice). The two most important areas for flooring in dog daycare and boarding are the animal holding areas and the daycare yards. These areas are the most used and abused and usually do not receive the required maintenance. With demanding and hectic days in the boarding industry, it’s not hard to understand why maintenance is often neglected. Therefore, having a long-term durable floor surface that requires minimal maintenance should be one of the top attributes sought. Other desired flooring features should include comfort, slip resistance, and be seamless, antimicrobial, and non-porous. Aesthetics, while important, should not necessarily scream “look at me!” Rather, the floor should be easy on the eyes, but you can leave the “wow effect” to the front of the house, toured areas, and other customer viewing areas. For both animal holding areas and daycare yards, there are numerous flooring choices. Of those choices, the most common are sealed concrete, polished concrete, rubber mats, artificial grass, resinous (epoxy-based) coatings, and seamless rubber mat systems. All can work great and all can fail miserably. The difference between working and failing is directly attributable to the cleaning and maintenance details, as well as utilizing the right system in the right environment for its true intended use. Sealed concrete is a popular choice due to its inexpensive upfront cost and the DIY component. It can be used in daycare, as well as holding areas. There are many “levels” to sealers: high solvent/low solids, high solids/low solvent, and everything in between. Sealers with higher solvent cost the least, but, more importantly, also typically offer the least amount of “protection”. The better choice would be the higher solid/low solvent sealer. It will offer more protection for the concrete, allow for less porosity, and, as an added benefit, it is better for the environment. Both versions will need re-application, with the higher solids choice allowing for a longer time frame between applications. To get the most use out of your sealer, make sure to follow and adhere to the manufacturer’s cleaning and reapplication instructions. You will need to make the time to thoroughly clean and reapply. Since both choices will have a solvent, which is heavier than air, caution must be taken since the solvent smell will drop to about dog nose level. Best practice is to shut down during this time frame and have plenty of fresh air circulating through the facility. Polished concrete is a popular choice because many believe it does not require ongoing maintenance. Unfortunately, this is far from the truth. Like the sealers described above, there are also various levels of polished concrete. The higher the polish, the better the finish, with less porosity. A high polish coupled with a silicate densifier will help to really seal the concrete. When it comes to explaining the process of sealed concrete, it is very similar to that of polishing rocks/stones. When tumbling rocks, you start with an aggressive grit of sand and then progressively add finer grits of sand. The same is true with polish. However, instead of using sand to polish, concrete polishing diamonds are used in conjunction with large upright grinding machines. An aggressive diamond will do the first cut, and then progressively finer diamonds are used to polish the slab. Finishing with a 3,000-grit diamond minimum will work best, but keep in mind the numerous cut/polish levels to get there. Typically, a 3,000-grit finish will require 6-8 progressive finishes. This is both time consuming and creates a considerable amount of hazardous waste. Once the polish is complete, it is usually sealed or waxed to protect. Although polished concrete can work in both daycare and animal holding areas, this choice will require ongoing reapplication of wax or sealer because the chemicals used to clean, along with the animal waste, will degrade the wax/sealer causing the concrete to begin to wear and etch. Make sure to follow the maintenance instructions left by the polishing contractor and allot for this time in your monthly, bi-monthly, or semi-annual maintenance program. Rubber mats are typically only recommended in daycare areas and not holding areas. These will offer comfort for animals and staff alike. Another advantage is they help with sound reduction. The down side is that they are porous by nature and have seams. To help with this, there have been sealers introduced to help stop the porosity. However, these typically cause other issues such as slipperiness, as well as the need for continual reapplication due to the absorbent nature of this product. Eventually, after multiple applications of sealer, the mat reaches it saturation point, becomes hard, and begins to break down. Although rubber mats have a relatively inexpensive upfront cost and can be a DIY application, best practice is to factor in replacement of the mats every couple of years. Additionally, the use of a high solids/low solvent sealer or epoxy should be installed to the concrete beneath the mat to stop odors from penetrating into the concrete. Make sure to start with the right product. Spend the money to make sure it is installed properly. Understand maintenance protocol and follow it. Have an effective HVAC system that will facilitate adequate drying. There is much more to a successful installation of artificial turf systems and it is recommended you consult your preferred vendor. Although this is typically a more expensive option, it is a great choice when done right. Resinous-based coatings (epoxy-based systems) are typically the most sought-after flooring system for both animal holding and daycare. Because they are seamless, non-porous, have the ability to seamlessly cove up the walls, and require little maintenance, they are a natural fit for animal care facilities. The most popular resinous coatings in animal care are epoxy-based systems, due to their relatively economical cost and the fact that they can be used in both the daycare and holding areas. Most manufacturers of epoxy will also have various grades of epoxy. Like sealers, look for higher solid-content epoxies and less solvent-based. Most have 100% solids epoxy, which is not only good for the environment, but have little to no odor and will offer the best protection for these areas. The most important aspect of epoxy truly is the installation which includes everything from the upfront testing to the preparation of the slab, and, finally, the installation. Make sure to find a qualified contractor that is not only recommended by the manufacturer, but also one that has a reference list of animal care facilities. There is a unique texture that is sought after in the animal care industry which needs to balance clean-ability with slip resistance. Too much texture, too difficult to clean. Too little texture, unsafe walking conditions. Finding a flooring contractor that understands this balance, and has a proven track record, is paramount to getting a floor that will last. Keep in mind the lifecycle costs of all the flooring options available. Flooring that doesn’t need to be ripped out and replaced every few years will save money in the long run. Consider the comfort of not only the animals, but also the staff taking care of them. Plan ahead for how the facility will be maintained; it is important to make sure the room is designed in a way that facilitates your intended cleaning methods (e.g., sloping concrete towards floor drains, wet/vac systems, etc.). Properly prepare the concrete substrate and environment prior to installation. In sum, the correct floor system will prevent disease, minimize shutdowns, provide optimal slip resistance, and provide comfort for both staff and clients. Make sure to really take the time to understand all the attributes of your chosen system and place it where it is best suited. Hopefully, the information provided for each of the flooring choices will aid you in making the right decision. Jeff Adney is the President of PermaTek Coatings, a national installation company that specializes in floor and wall coating solutions specifically for the animal care industry. Jeff has worked in the resinous coating industry for the past 20 years and has been heavily involved in the animal care industry for the past 16 years. In addition to working with the various flooring and wall products specific to this industry, Jeff consults with designers and architects and enjoys speaking at the various animal care conferences, veterinary universitie,s and privately sponsored events. Jeff earned his BA degree at the University of Evansville and has since earned a Master Certificate in Decorative Concrete. For more information, contact Jeff at jadney@permatekcoatings.com.